2019 ‘Art in Root’ “Winged Wonders” Award Winners Announced! The “Winged Wonders” exhibition, a part of this year’s ‘Art in Root’ program developed by the Great Parks of Hamilton County, held it’s judging and awards ceremony this past weekend at the Woodland Mound Seasongood Nature Center. The show was judged by Devere Burt. Mr. Burt is a nationally known artist and a former Commissioner for the Great Parks of Hamilton County. He also was the Executive Director of the Cincinnati Museum of Natural History for 25 years and was instrumental in the development of the ‘Art in Root’ program. 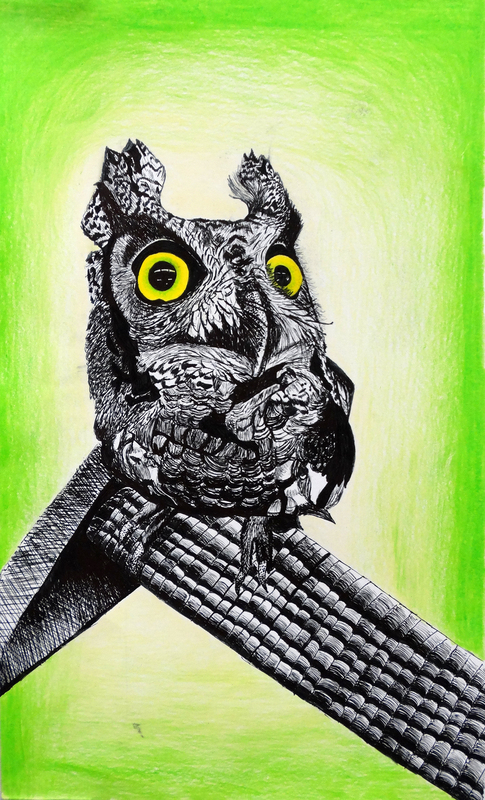 Congratulations to OHHS Art and Design student Cailee Plunkett on being awarded 1st Place for her piece “Ozzy’s Rest Stop”!